Driving into the Grand Tetons there was a general consensus in the air that we needed a big dose of high adventure. We pulled up to the back country permit office and were blessed to meet our favorite park ranger ever. She was like everyone’s adored grandmother, so sweet and encouraging. We explained that we have a one year old, a 7 year old and an 11 year old and we want to go on a four day trip. Prior to arriving we had been recommended a variety of different hikes that were (similar to the 3 Bears) too easy, too short, or entirely too boring. Most people do that. The majority of people will give you the experience light recommendation. But this sweet little ranger knew exactly what we needed. From the permit office we headed down to the String Lakes trailhead with 3 large bear canisters, 2 bear sprays and permit in hand for a 4 day 3 night trip up Paintbrush Canyon over the 10,800 foot Paintbrush Divide and down the very scenic Cascade Canyon, a 4,200 foot climb and descent over 20 miles of sub-alpine and alpine wonderland. The pass was almost the exact same height as Mt Baker, the big mountain that sits over our home town which helped make our mission relevant and enticing to the boys. As we packed the car the mood in the air was electric, literally. Deep rumbling accompanied the darkening clouds forming over the Tetons as we attacked the mammoth job of packing our packs for the trip. We did a great job of not talking about the weather. We simply saddled packs and mozzied onward and upward to greet the storm. 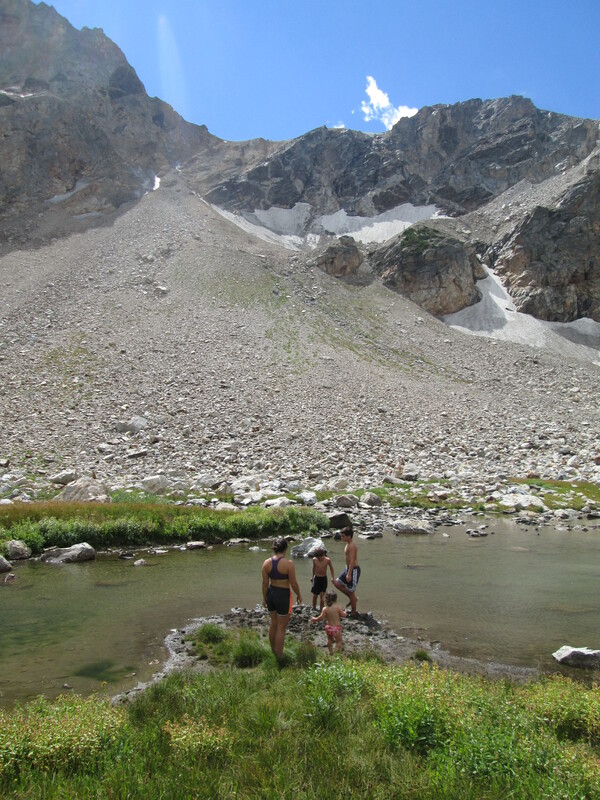 The kids did an amazing job of hiking fast through the open meadow land while the lightening storm was wreaking havoc. Finally as the thickest of it was above our heads and the hail was storming down, we stopped to huddle up and soak in the fullness of this big crazy adventure. The hiking somehow happened harmoniously, mostly. Jacob had a full pack including a loaded bear canister of food, a big boy now for sure. Joseph had a ridiculously large amount of stuff including an extra satchel thrown over his shoulder. 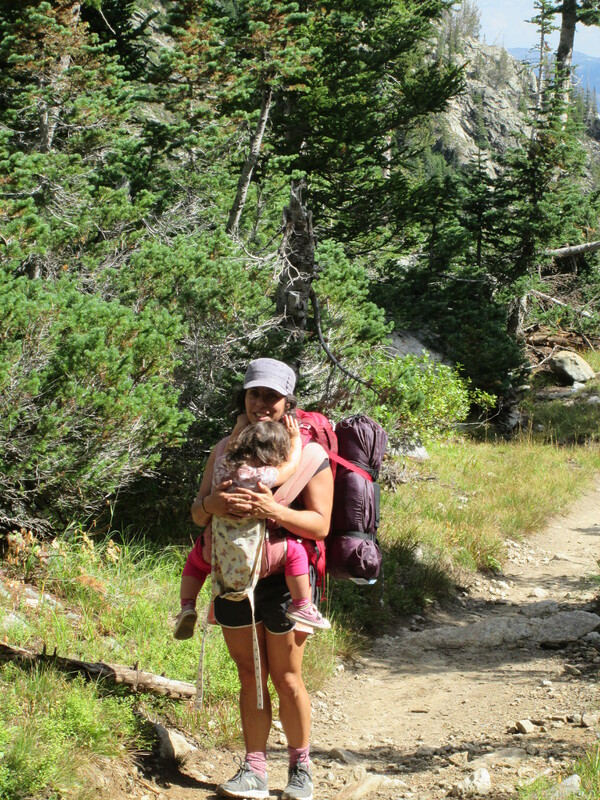 Michelle had a full backpack……and Ila on shoulders, front or back depending. Elias carried a cute little pack with the trowel in one side pocket and water bottle in the other. 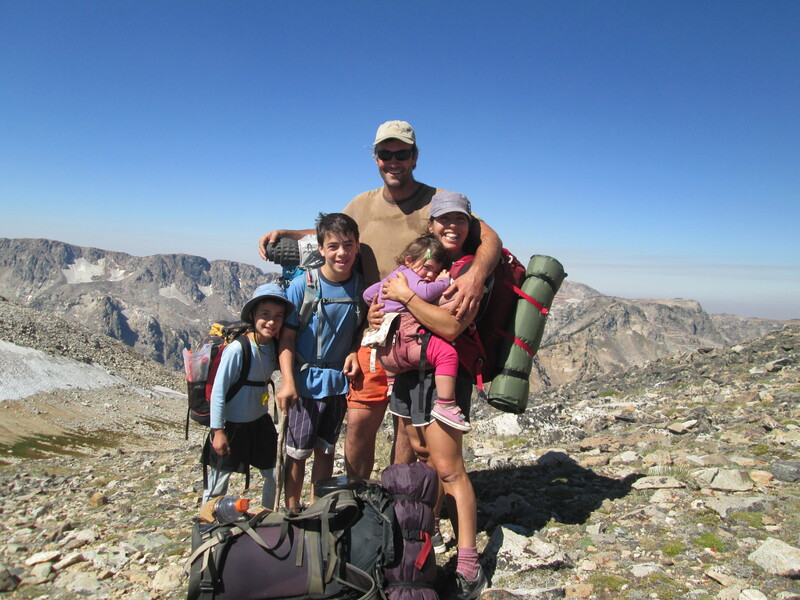 Together we greeted the hike as a desired challenge after a mellow visit to Yellowstone. Our camp on day one was worth writing home about overlooking the deep valley below. Although Michelle expected to see a Grizzly or Black Bear around every tree, we were bear free. 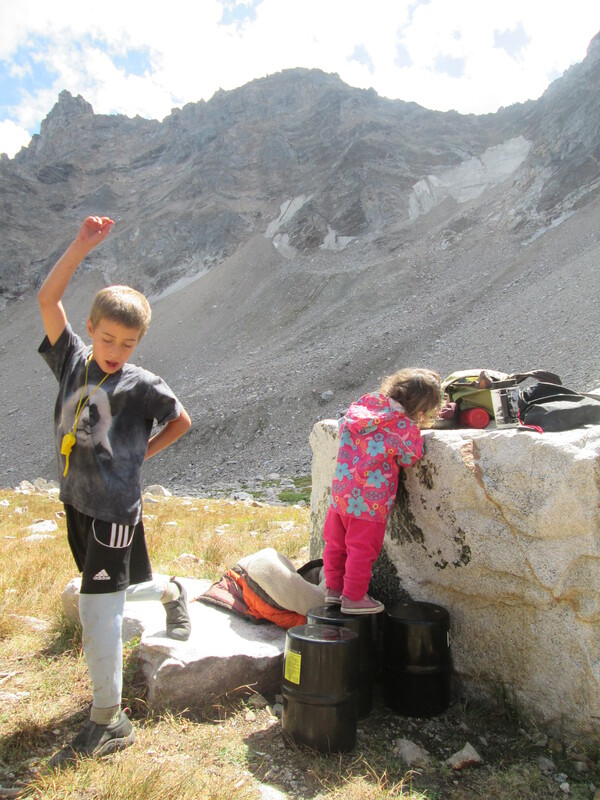 We cooked above camp on a rocky ledge and arranged the food canisters lodged among large boulders. 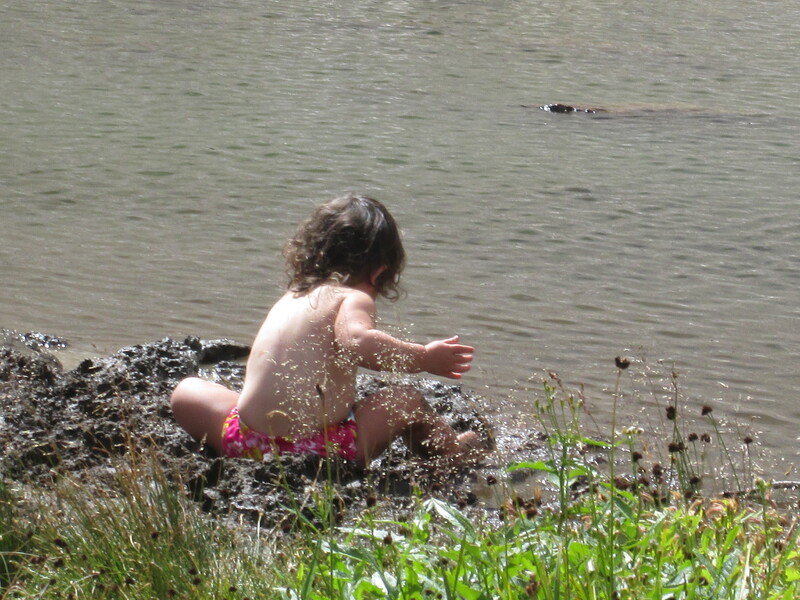 The kids played and scurried like Pikas among the rocks. 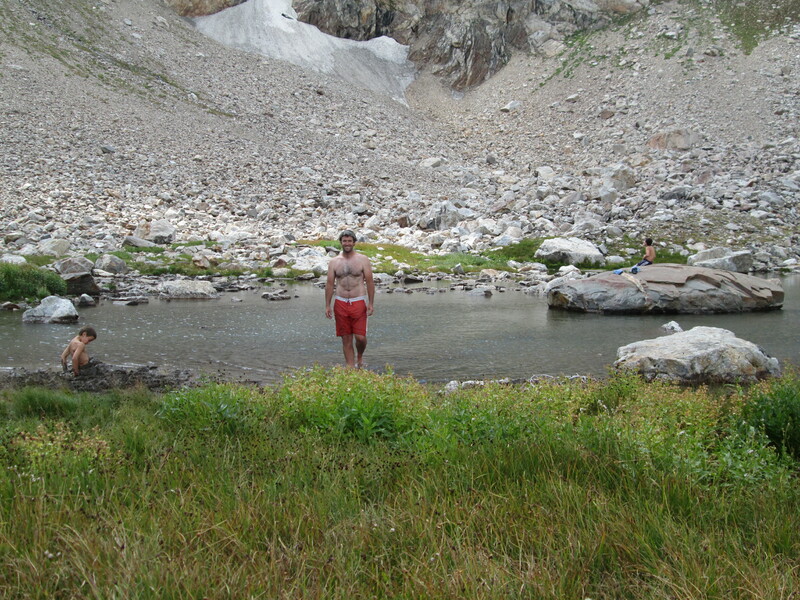 On the second day we had a leisurely mile and half hike or so up canyon and there we found Paradise. 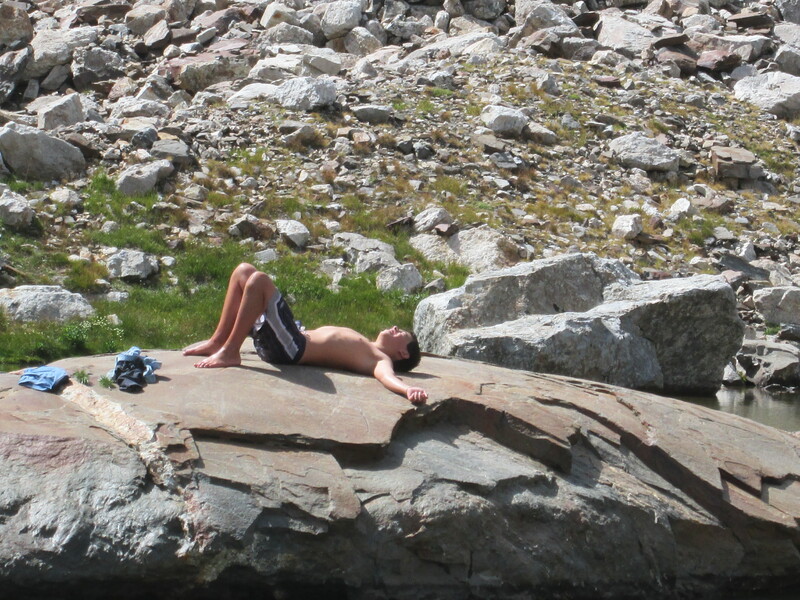 The rest of this day was spent frolicking and lollygagging around in Alpine meadows and lakes. It’s a tough job but that’s why alpine meadows exist. That night was weird though. 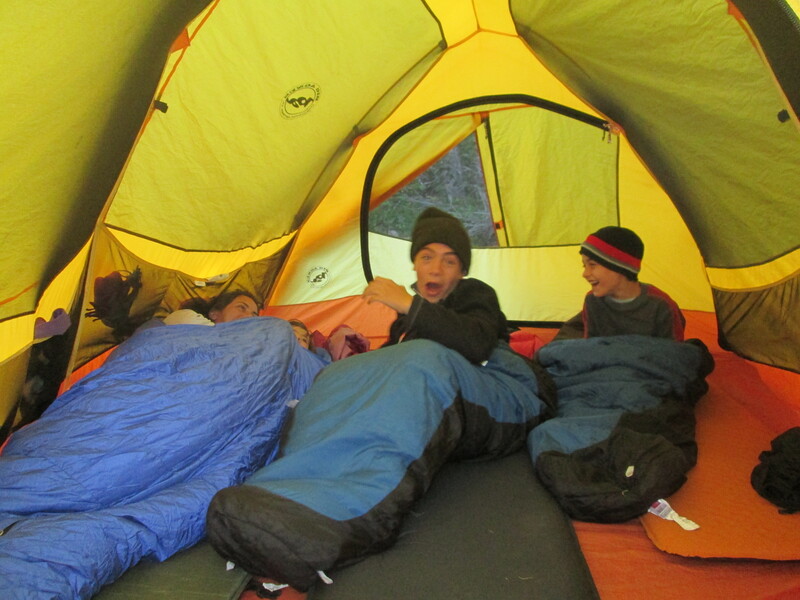 I (Joseph) kept dreaming about ghosts and finally woke up to the tent smelling like smoke. I went outside and couldn’t see the outline of the peaks that surrounded camp anymore and ashes were flying around everywhere. I became very concerned and after some thought based on past experiences mostly in the North Cascades decided that the smoke had moved in from the big fires in east central Idaho and went back to bed. The previous summer during the month of July I experienced the worst forest fire haze ever. It turned out that during the month of July 2012 there weren’t any forest fires in the region but rather the haze was moving in from Siberia due to the worst forest fires Siberia had ever had on record. 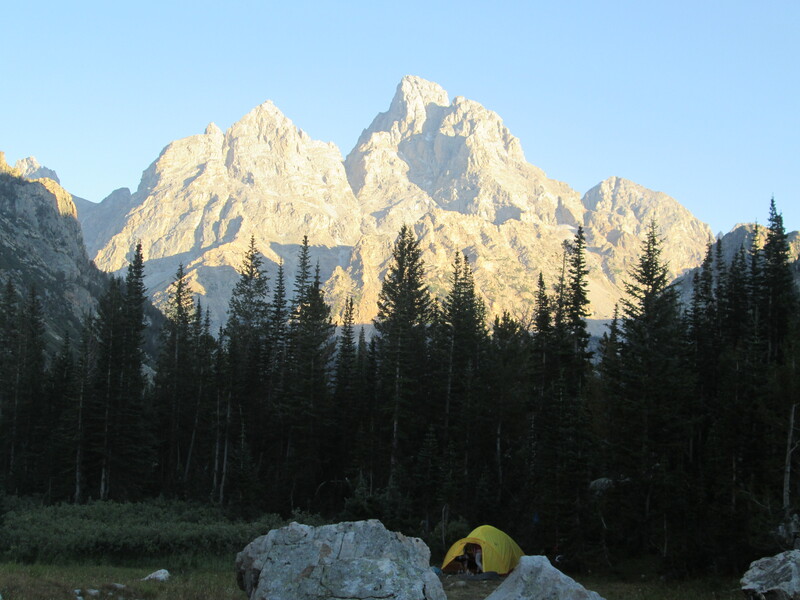 Now back to our tent in the Tetons, I woke up later to the smell of fresh air again and allowed myself to fall back into a deep sleep. The next day we awoke to crisp clear skies – no hint of smoke – with the intention of heading over Paintbrush Pass. 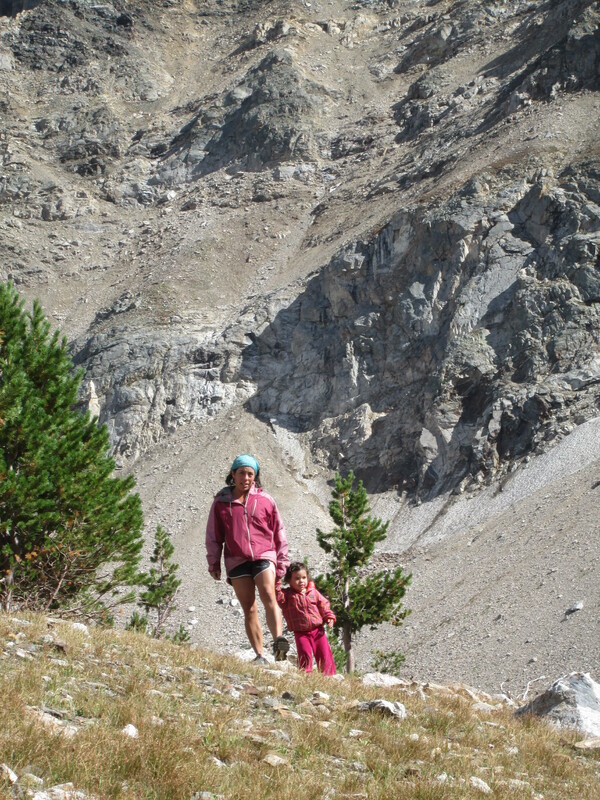 The hike up to the pass was challenging, but you couldn’t tell if you were just watching us. The Anderson family was on a mission and we were bound to it. The last bit was steep and well, steeper with glacial scree and ice. 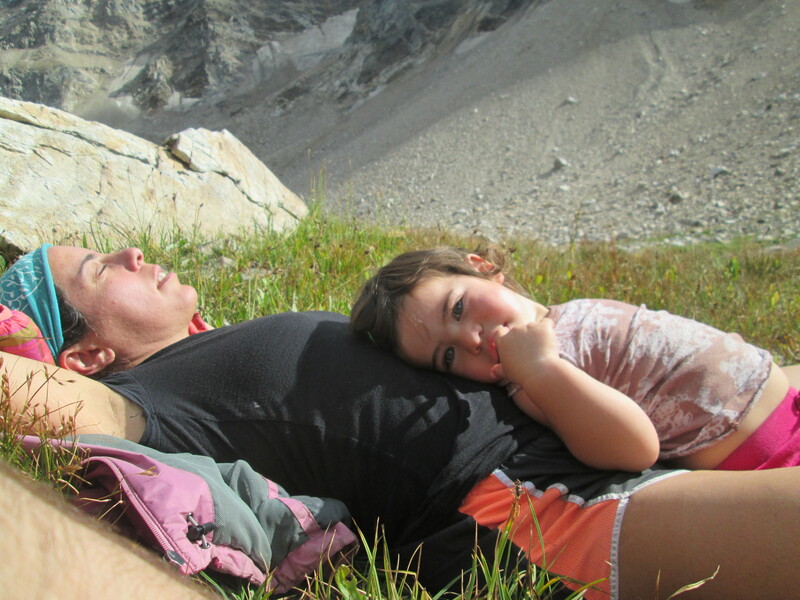 This is where Ila had decided she didn’t want to be held anymore so Michelle got to wrestle this little and strong bundle as she negotiated the most precarious and dangerous part of the hike. This is extreme child rearing ladies and gentlemen. 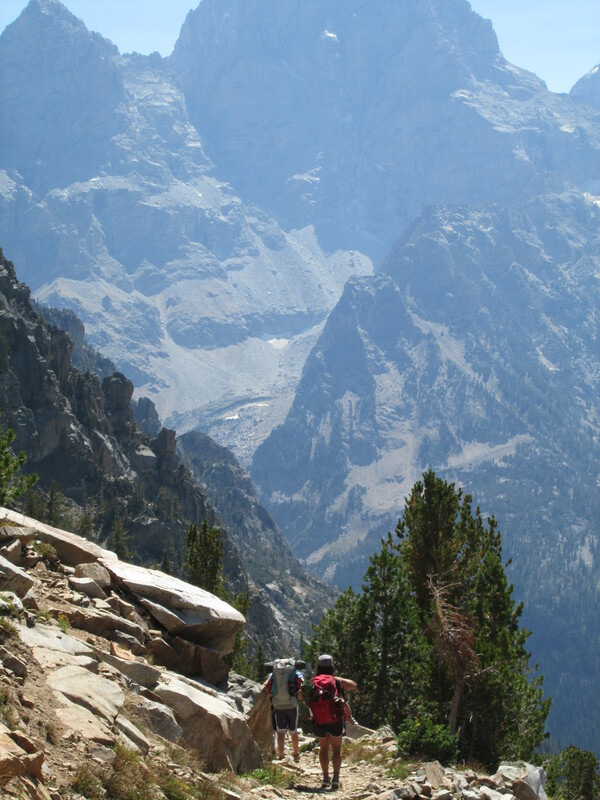 Arriving at the pass was very gratifying for me. I am always in these alpine environments. Up high, big views, feeling healthy but something is always missing: Jacob, Elias, Ila and Michelle. Frankly that’s all I really want. Why not go to the best places with your favorite people? A few weeks ago I had the good fortune to have Jacob along for an ascent of the Becky Route on Liberty Bell Mountain, which is one of our super classic alpine climbs back home. What a blast that was. Now I had everyone, even my little girl. Everyone was buzzing with giddy accomplishment. We ate ridiculous amounts of protein via tuna, bars and jerky. The boys couldn’t get enough calories down. We concluded the alpine feast and continued onward and downward. We trucked down to Lake Solitude, laid around for awhile in the very comfortable grass, watched Ila do her Ila show, then moved down canyon to another unique and lovely camp with cascading water flat rocks to rest on and a mini wilderness to explore. The last day was huge. 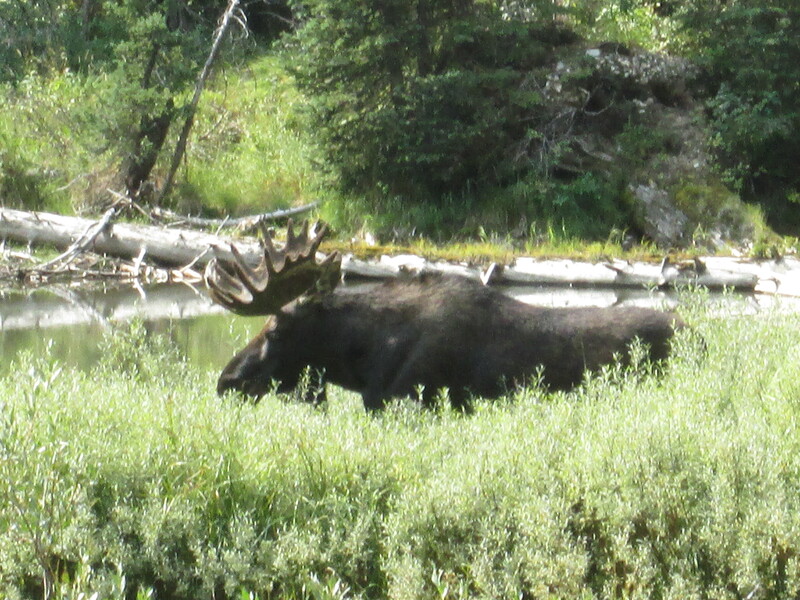 It was an 8.5 miles mostly downhill/cross country hike and a big push for Mr. E. Several times on this last day we spotted moose which was a thrill for the whole family. We also watched an Osprey mama feeding her large Osprey babies in a very big nest only 45 feet or so above us. Then chug, chug, chug, chug, chug allllll the way to the car. There the kids basked in the shade as the grownups did the crazy task of blending our backpack lives back into our car lives. “Mission Accomplished!” as our 43rd president would say. From here we rolled on to the ranger station where the kids finished up the remainder of their Teton’s Junior Ranger Packets. 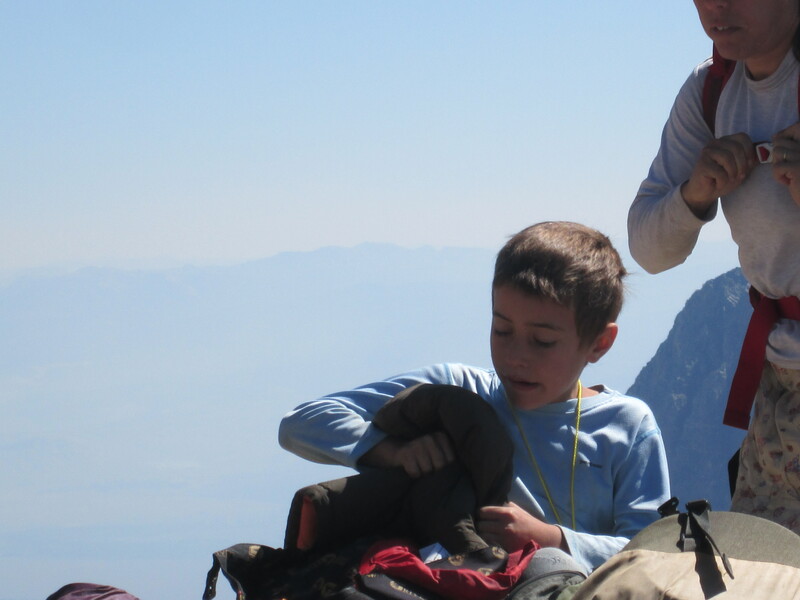 We also acknowledged the boys great backpacking efforts with a wolf journal for Jacob (the super storyteller – I think he told Elias stories for about 18 miles of the hike) and a tracking book for Elias (the scientist/tracker/thing finder). Hopping into the car blasting east we had a very pretty drive up and over Togwotee pass, which is the Southern end of the Absoraka Mountains. Then down into the strange arid landscapes of North Central Wyoming. We found Jacob a promised hamburger in Riverton and by 11pm we made it to a very nice camp on the Banks of Boison Lake. Fantastic!!! I love it. Extreme child rearing for sure. 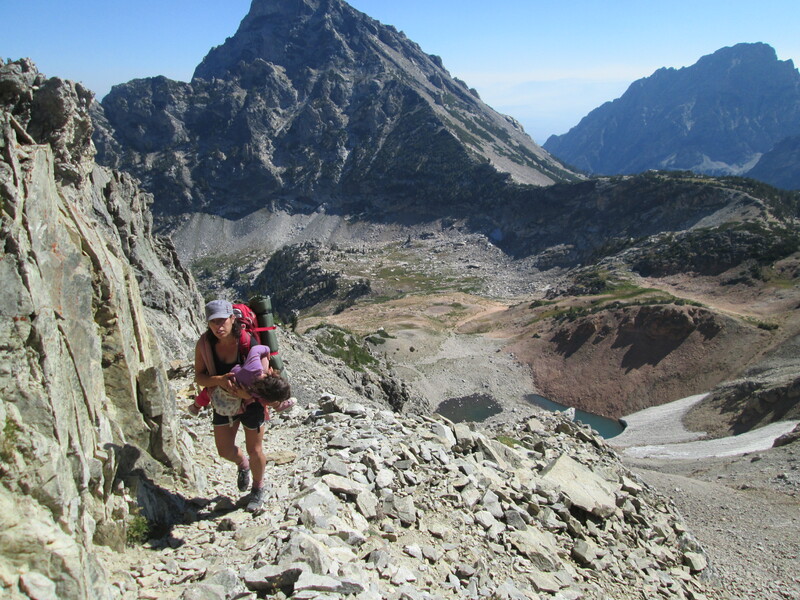 Loved this vivid and inspiring read about your peak adventure! Loving your stories! This leg definitely kicked up the adventure factor. I love to hear what you eat after burning all those calories.